As moms, especially newer moms, it can be difficult to find the time to workout, or even know where to begin. 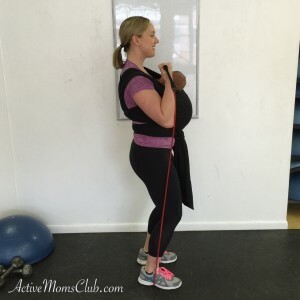 Wearing your baby to exercise has become more popular over the years. The most important thing to remember is to check in with yourself and be honest about how your body is feeling during and after the workout. We want you to be safe and considerate of your newly postpartum body. 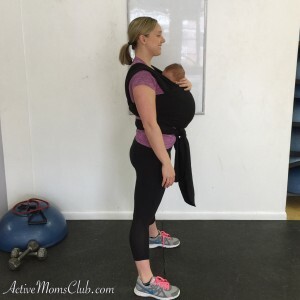 Here are a few key things to keep in mind when following, or doing your own babywearing workout. Strengthen Pelvic Floor and Core Muscles First – Before beginning any exercise program, be sure your have competent pelvic floor and restore the strength in your core. Wearing your baby is physically demanding and can create stress for your core and pelvic floor. These muscles need to be functioning safely and effectively in order to handle that extra load – the baby on your body! – without injury. Maintain Good Alignment and Posture – Maintaining good positioning while exercising allows your core and pelvic floor to work optimally. A couple of general alignment cues: keep an “untucked” bum, with a gentle arch in your low back. Keep your ribcage stacked directly over your hips, and pull shoulder blades back and down. Belly Breathing – Inhale during the easy, or eccentric part, of the exercise and exhale during the tough, or concentric part of the exercise. 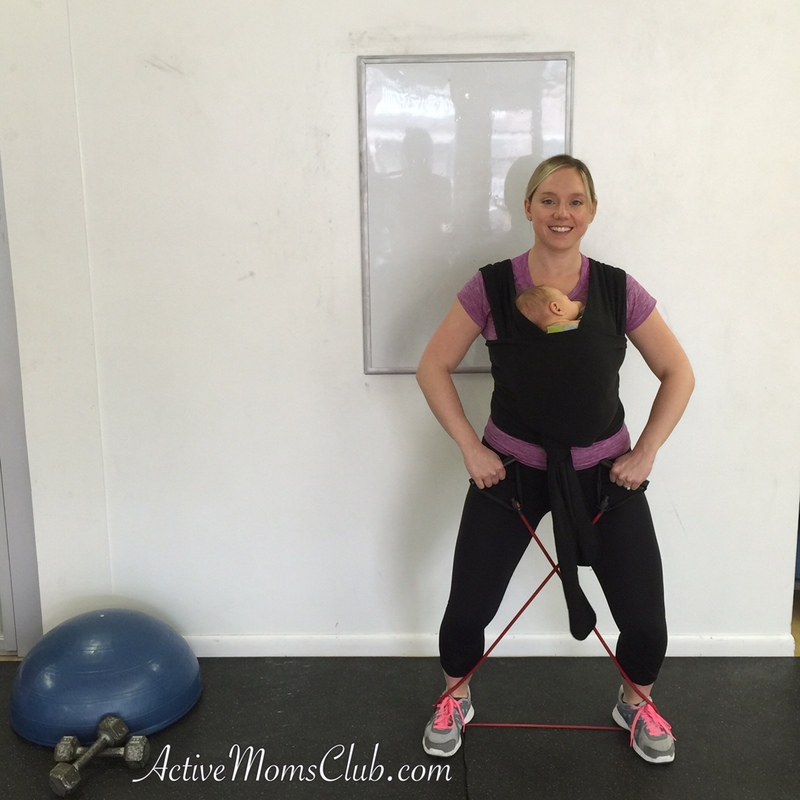 Making sure to engage your core and pelvic floor as you perform the exercise’s concentric movement. For example, to stand up from a squat, start your exhale breath at the bottom of the squat as you begin to rise, engage your core and pelvic floor, and stand back up. 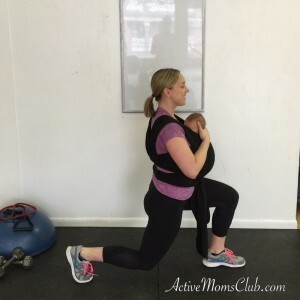 To complete this workout, secure your baby in a soft-structured carrier. Our AMC mom model is wearing a Boba Baby carrier. If you have an infant, be sure baby’s head is stabilized throughout workout. For this workout, you will need light-to-medium tension resistance band. If at any point in the workout, you have pelvic pain, back pain, or feel heaviness in your pelvic floor, stop, sit, and rest. Inhale as you hinge back through your hips to squat down, exhale to stand up, pushing through heals. Finish squat standing tall. Repeat. Place resistance band under both feet, beginning with arms extended straight at your sides. Stand with a soft bend in knees, shoulder blades pulled back and down. Control the movement in your arms going up and down. Begin standing with feet together, take a medium to long step back to ‘lunge’. Allow the back knee to ‘kiss’ the floor, or as close as your flexibility allows. Exhale to push through the front heel to return to standing position. Begin with resistance band under both feet, criss cross handles in opposite hands to create extra tension. Maintain a stable torso and soft knees and side step 8-10 wide steps in one direction, then the other. Begin with feet together, take a long step to the side hinging back through hips to place weight through your heal. Exhale and return to starting position. Alternate lunges, left and right sides. Complete exercises 1-5, twice. Add in cardio at the end or in between sets. *Make it an outdoor workout – power walk to a local park. Once at the park, do 1 – 3 sets of exercises, then power walk back home. May 26 is World Babywearing Education Day! 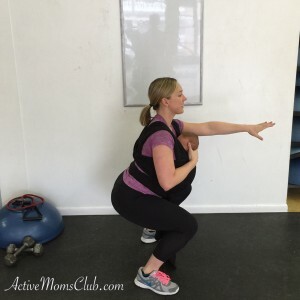 Babywearing exercise is a great opportunity to do something good for yourself, and bond with your little one. 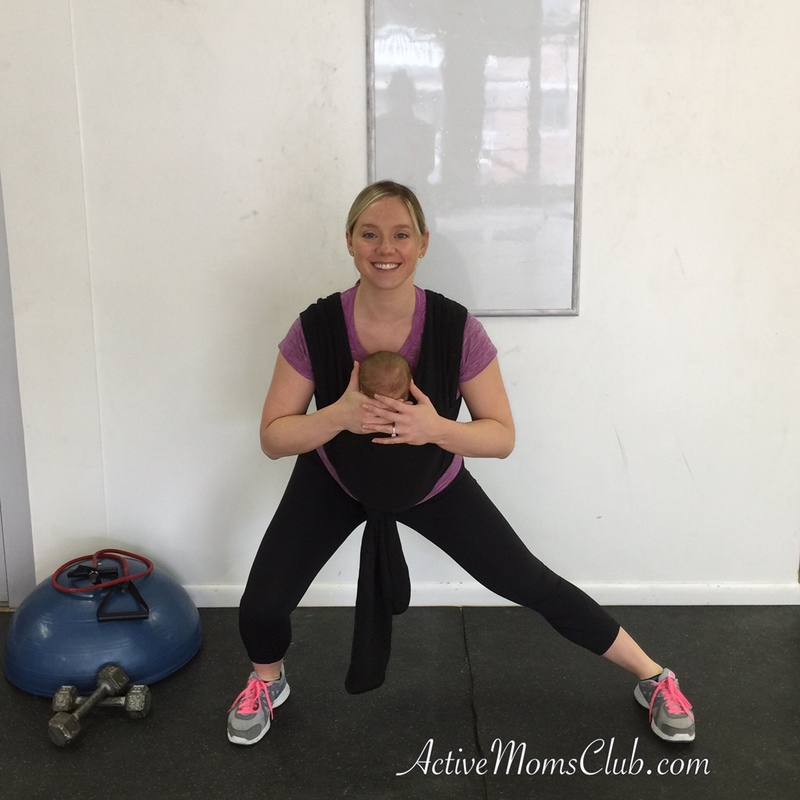 The added benefit — most likely the rhythmic movement will put your little one to sleep! Grab your baby and move.